Venerable Kyabje Khentsen Ngawang Rabga Rinpoche was born in a remote village (Chyangmiteng) in Solukhumbu region of Nepal in 1960 AD, in an ordinary Sherpa family, to parents – Dorjee Sherpa (father) and Chiki Sherpa (mother). The family name given to him was Rinzi Sherpa. From his very childhood Rinpoche was a simple, brave, honest, funny, friendly, farsighted person and had a strong desire to devote himself entirely to the spiritual life. 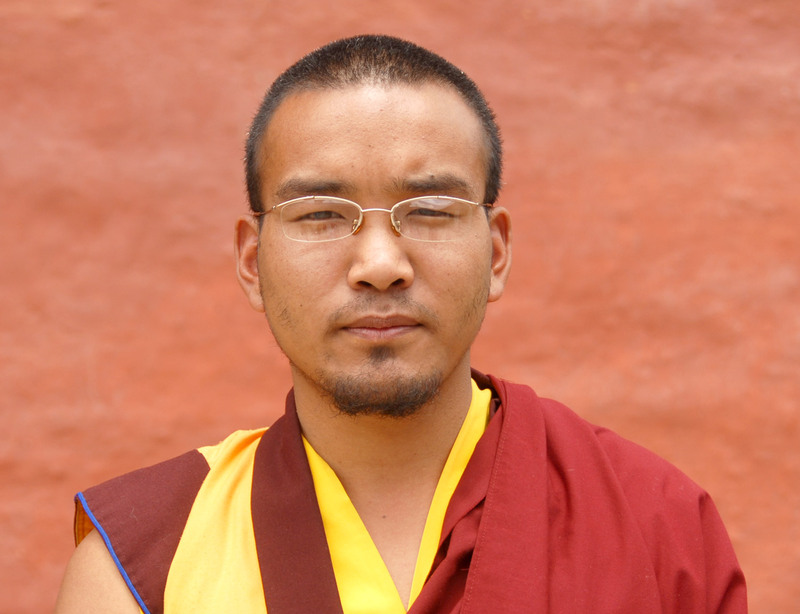 At an early age Rinpoche joined Takgon Shedrup Thatling monastery which is about three hours walk from his birthplace. There he learned elementary Buddhist philosophy under the supervision of Ghesey Jhyangchup Tshultrim Rinpoche. During that period he also received the novice monastic vows (Gtashul) from His Holiness Kyabje Dzarong Trulshik Rinpoche. If you would like to support this virtuous project, please bestow your blessing with anything! Your donation/help means a lot for us. You can sponsor a Buddha Statue as well.